Mountain & Lake & Double Fairway views! South Facing! The Lakes! 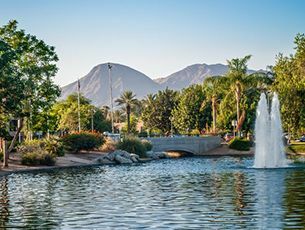 Palm Desert! Three bedroom Abilene model ( third bedroom now a den) with high ceilings and two bathrooms. The home has been updated with tile floors along with upgraded lighting. The living room with gas fireplace and offers the best in entertainment. 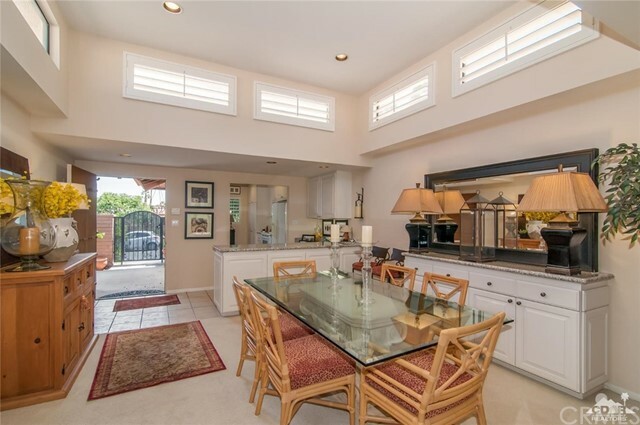 The kitchen with lots of natural light ,stainless steel appliances opens to the entertainment back porch. The back porch has mountain views & lake views and double fairway views in one of the best locations of the community. Double car garage and highly sought after golf cart garage. Home is close to the community pool and clubhouse. The Lakes CC offers 27 holes of member owned golf , active clubhouse, bocci ball , tennis,pickleball and superb fitness center . World class restaurants and shopping are close. Call today to view this home ! Beautiful Remodel! South Palm Desert ! Mountain Views! Three Bedroom ! 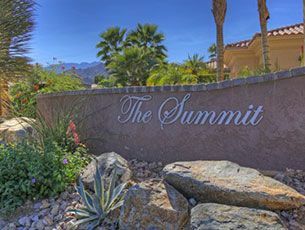 Located High up in the hills of South Palm Desert this intimate 100 unit community offers the best of active lifestyles. Featuring three bedroom,two bath, spacious single level home in a park like setting surrounded by breathtaking mountain views. This home has been completely remodeled including upgraded lighting, windows,doors,electrical, piping and more. The all popular great room opens to a spacious living area with high ceiling's that include clerestory windows & enclosed sitting area. The over-sized master bedroom suite has an attached porch to relax and entertain. Additional features are the beautiful clubhouse with fireplace,billiard room,library(computer and internet access),and fitness center. Six swimming pools and five spas complete the lavish and intimate 20 acres club. 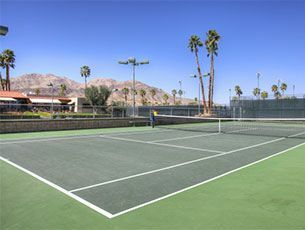 HOA include social activities ,pickle ball along with eight lighted championship tennis courts. South Palm Desert living at its finest! New Price !Architecturally stunning home located in the Canyon Cove neighborhood on an over-sized lot with panoramic mountain vistas and plenty of storage space. The warmth of the entrance and stunning high ceilings as you enter, open to a large entertainment great room with fireplace. 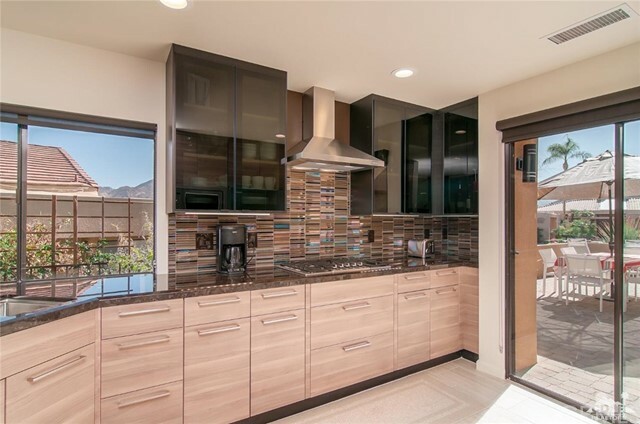 The eat-in kitchen is totally remodeled with premium gas range, modern cabinets, quartz counter tops and separate pantry. This charming and sophisticated home features 3 bedrooms, 2 remodeled over-sized bathrooms and a remodeled powder room, as well as a separate office and a laundry room. The spacious backyard includes pool/spa and patio area featuring breathtaking mountain views. Must see to appreciate. Canyon Cove includes a community salt water pool, spa, two tennis courts, two pickle courts, all with with very low HOA dues. New Price! Beautiful Remodel! South Palm Desert location! Mountain Views! Designer Furniture Included! 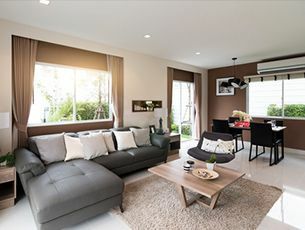 Three Bedroom! 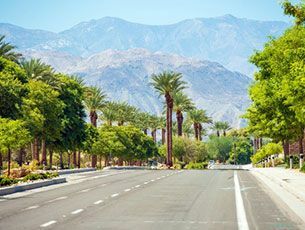 Located High up in the hills of South Palm Desert this intimate 100 unit community offers the best of active lifestyles. Featuring three bedroom ,two bath, spacious single level home in a park like setting surrounded by breathtaking mountain views. 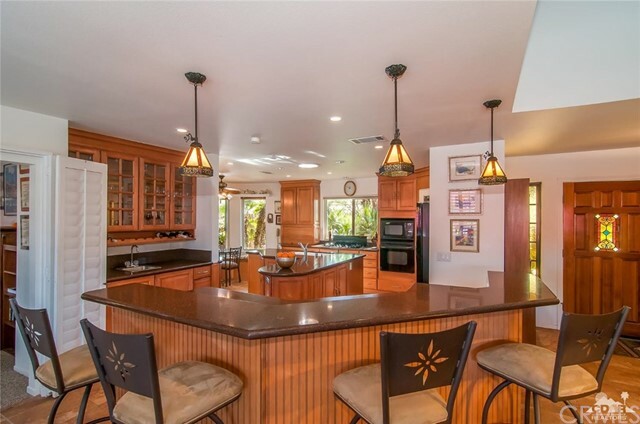 This home features a beautiful remodeled kitchen with breakfast bar that opens to a spacious and light great room. The all popular clerestory windows allow for lots of natural light. The over-sized master bedroom suite with walk in closet is close to the Pool and Spa. Additional features are the beautiful clubhouse with fireplace, billiard room, library(computer and internet access),and fitness center. Six swimming pools and five spas complete the lavish and intimate 20 acres club. HOA includes tennis, pickle ball and social along with eight lighted championship tennis court. Phyllis Cyphers is not your ordinary agent. Real estate is her number one, full-time priority. 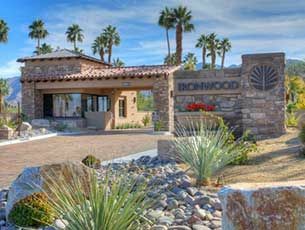 As a result, Phyllis has sold over $50 million dollars in her career, making her one of the top agents in the desert delighting both sellers and home buyers alike. Phyllis’ partnership with Pacific Sotheby’s International Realty allows her the opportunity to offer the most innovative technology and marketing opportunities to better serve her valued clients. One of the key elements to Phyllis’s professional success is her commitment to customer service and accessibility for her clients. 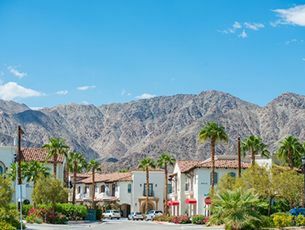 Whether they are a second or third home buyer, an investor or moving to the desert full time, she offers the highest level of expertise and helps her clients fully understand each and every step of the buying or selling process. Phyllis understands that real estate is often the biggest financial decision a person will make and understands how important it is to sell your home at its highest price or find your dream house within your budget. Her clients’ goals are her top priority and Phyllis understands the need to understand current market trends, be proactive and utilize the necessary tools and resources in order to make the real estate experience as stress-free as possible. My husband and I can't thank Phyllis enough for the exceptional service she provided in listing and selling our home in Palm Desert. We've bought and sold 10 homes in three states and this was by far the easiest and most satisfying real estate transaction we've ever had. From the beautiful way she presented our home in the listing, to the multi-layered marketing plan, through the inspection and repair process and shepherding our escrow through closing, the process was flawless. We especially appreciate her final service of returning our cable box! We both will highly recommend Phyllis to our acquaintances, friends, and family who are looking for a professional, hardworking and knowledgeable agent in the desert. 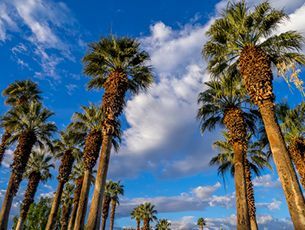 Phyliss has been involved in three real estate transactions for my wife and me over the last couple of years in Palm Desert. She is not only very knowledgeable of the market but very thorough and attentive. Her attention to detail and responsiveness allowed to us to close earlier than anticipated. 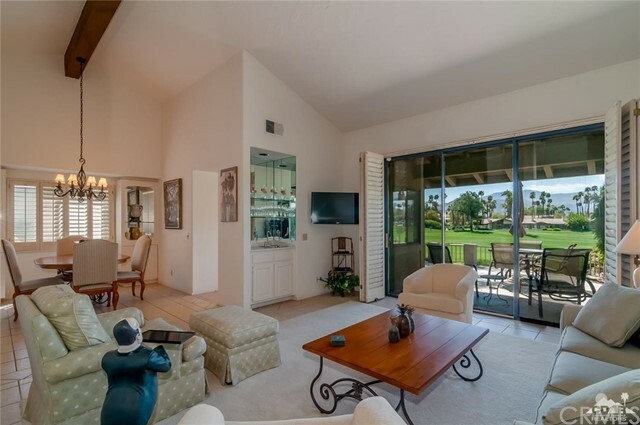 Phyllis listed our home in south Palm Desert and was excellent. She was extremely responsive as a listing agent, always responding in an efficient manner to our questions and calls. Most importantly, Phyllis is a good listener and puts the client’s interest first. 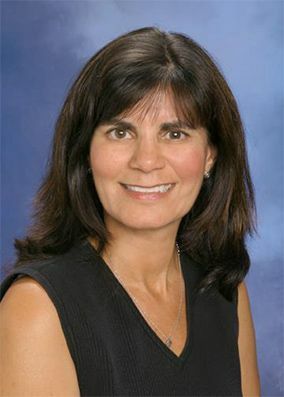 She is very knowledgeable about real estate trends and activities in the Coachella Valley and we would highly recommend her.